A report documenting the lives of all the Madiga families living in 87 villages of Ranebennur taluk of Haveri district was released on Friday. In March 2017, when members of the Madiga community of Haranagiri village in Karnataka demanded that they be allowed to enter barber shops and pay to get a haircut, the owners of all the three barber shops in the village shut down their outlets. The barbers now visit the homes of people belonging to other communities to serve them. They refuse to serve the Madigas. “We travel nearly 19 km to Ranebennur city to cut our hair,” said H Lakshmappa, 44, one of the 515 Madigas living in the village. Madiga is a term used in Karnataka for more than 50 Dalit sub-castes who have been treated as untouchables for centuries. Haranagiri village lies in Ranebennur taluk of North Karnataka’s Haveri district. 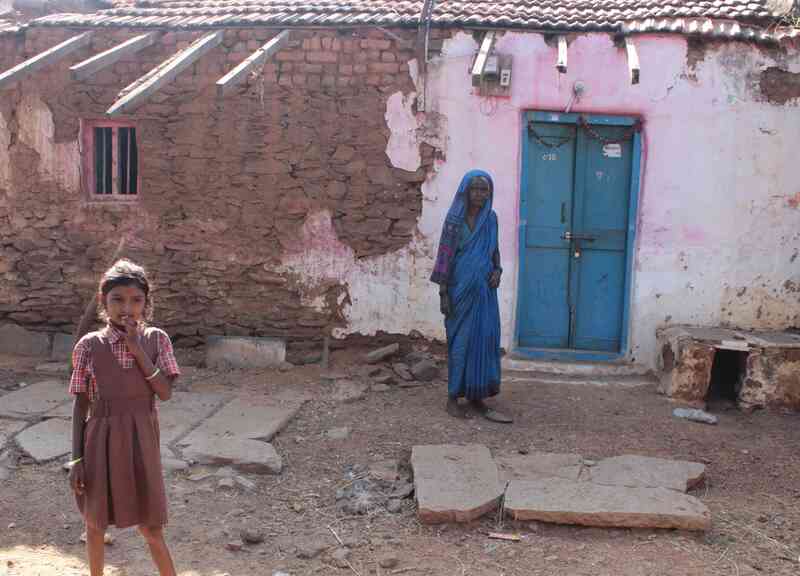 It is among 87 villages in the taluk in which a Dalit rights organisation called the Swabhimani Dalit Shakti conducted an extensive study over three years, starting 2016. Every single Madiga family in the 87 villages was interviewed – 4,076 families in all. They were asked about their social, economic and educational status, as well as if they were able to own land, find work and access public services. 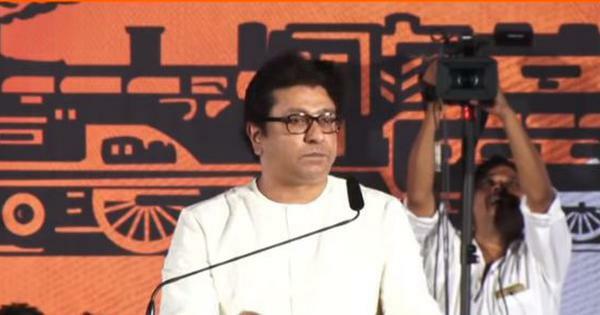 They were also asked about untouchability. 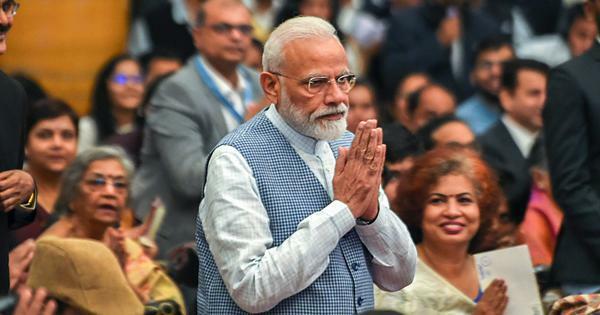 Six decades after untouchability was officially abolished in India, the study found that Madigas are not allowed to fetch water from public taps in 20 of the 87 villages surveyed. They are not allowed into the village temple in 72 villages. 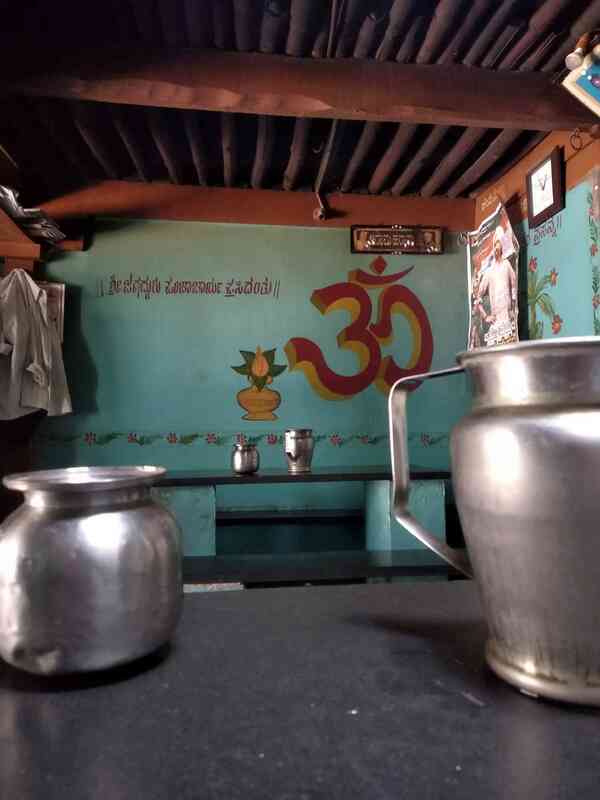 The two-glass system prevailed in tea shops in 57 villages – this means that Madigas were not served tea in the steel tumblers that caste Hindus drank from, but in separate glasses or mugs. 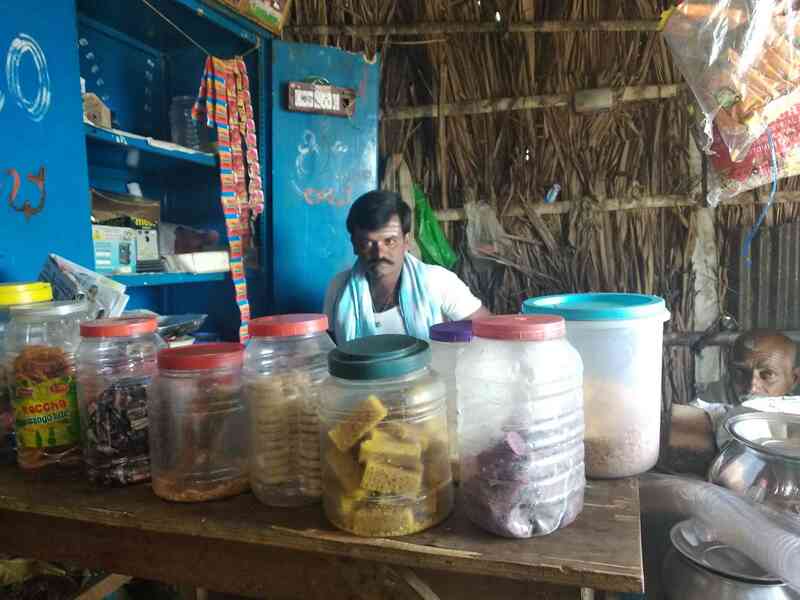 Tea shop owner Ganesh, a member of the dominant Lingayat community, in his shop in Nandihalli village. 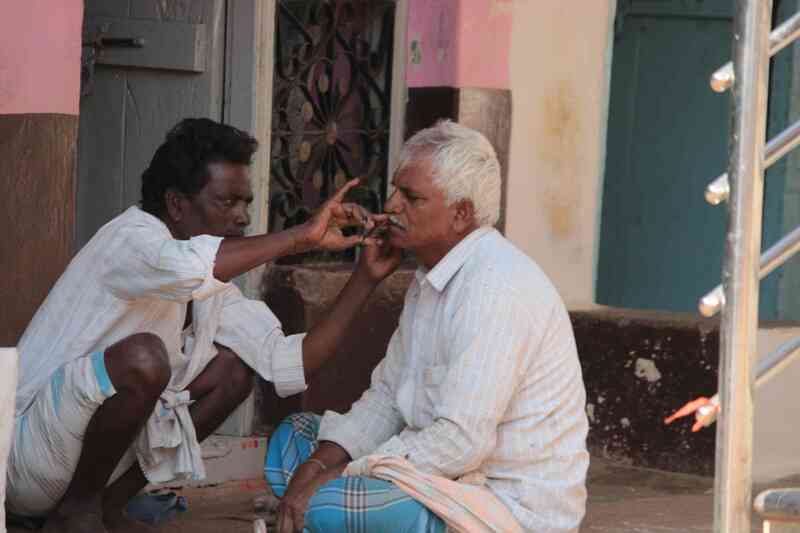 Caste-based discrimination also means the Madigas are forced to perform degrading caste duties in 86 villages surveyed. They have to clear the carcasses of dead cattle, offer their labour for free during occasions like marriages, walk around the village making announcements when someone dies, and clean the households of the dominant castes without any wages. A barber at his client's home in Haranagiri village. The Swabhimani Dalit Shakti, or the Self-Respect Dalit Movement, is a Dalit organisation based in the neighbouring district of Chitradurga. It was established by five people in 2010, under the guidance of S Sivalingam – who is its president – to take up struggles to reclaim the land of Dalits and against atrocities committed against Dalit women. Marideva Mailappa Naduvinakeri, an organising committee member of the Swabhimani Dalit Shakti, had faced caste discrimination while growing up in Haligeri village in Ranebennur taluk. He met Sivalingam during his quest to ascertain the reasons these discriminatory practices were still being followed desipte laws banning them. Sivalingam helped him draw up a questionnaire with over 100 questions that were used in the survey. 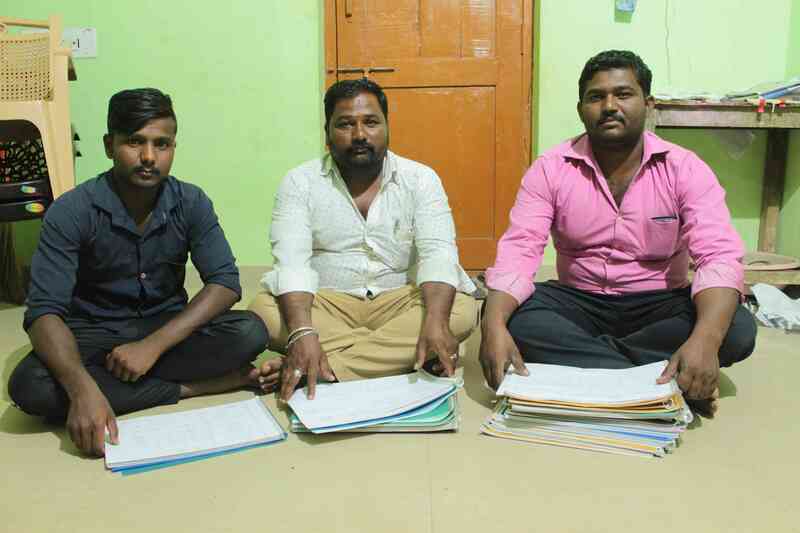 Marideva, along with his cousin Malthesha Gundappa Naduvinakeri, formed a seven-member team comprising his co-workers, teachers and students to conduct the interviews for the survey. This team became the organising committee of the Swabhimani Dalit Shakti in Ranebennur. Madiga communities live in 87 of Ranebennur taluk’s 108 villages. 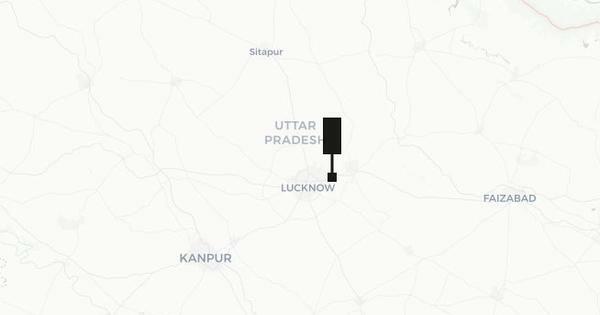 It took over two-and-a-half years for the organising committee to complete the interviews, which document the socio-economic condition of these families and the forms of caste discrimination they face. 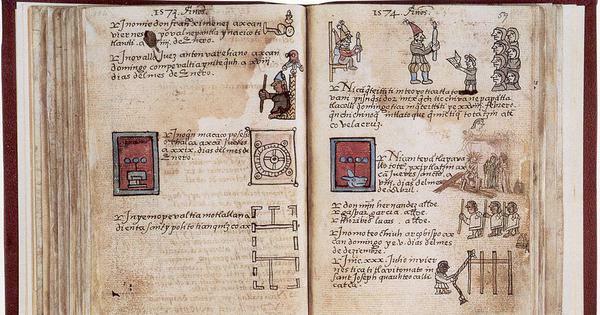 The testimonies run up to 2,580 pages. A consolidated 360-page report titled A Study on Social Justice System in Ranebennur taluk based on the study was released in Ranebennur town on January 18. Marideva Mailappa Naduvinakeri with his teammates from Swabhimani Dalit Shakti in Ranebennur town. The study found that the government has failed to improve the economic condition of the Madigas. Nearly 66% of Madiga families live below the poverty line, 42% do not own any land, and those who do, own very small parcels. Only 0.58% of Madigas own land measuring five acres and above, and 0.1% own eight acres of land. In Nadiharalalli village, the homes of 61 Madiga families have no piped water connections, no underground drainage and no asphalted road leading to their houses. The land on which their homes stand was given to them by the government, which had purchased it from the land-owning Lingayat community some 40 years ago. Though the home owners possess the title deeds (pattas), around 20 years ago, the descendants of the original landowners laid claim to the land and moved court. Since then, the residents of this colony have not been allowed to carry out repair work on their homes or even build toilets. 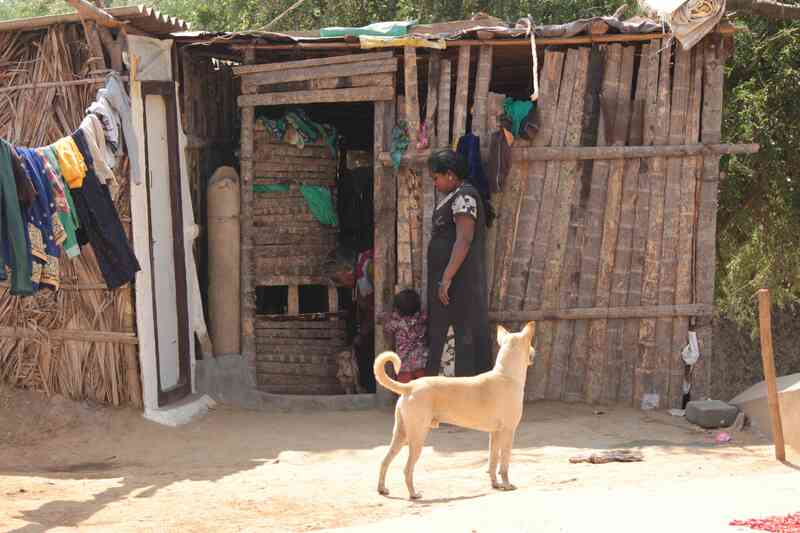 People of the Madiga community at Nadiharalalli village are not allowed to repair their homes. There is no underground drainage in the Madiga colony in Nadiharalalli village. Even access to government schemes is poor. In November, Karnataka was declared open-defecation free under the Swachh Bharat Mission. But the study found that 70% of Madiga families surveyed did not have toilets. The situation is especially dire in Nadiharalalli village, where the land dispute has prevented Madigas from building toilets in their homes. In this village, Madiga women walk 20 minutes every morning to find space to defecate. All the land is owned by the Lingayats, who often strew thorns on their land to prevent the women from squatting there. Often, the Lingayat men stand by, watching with hostility. 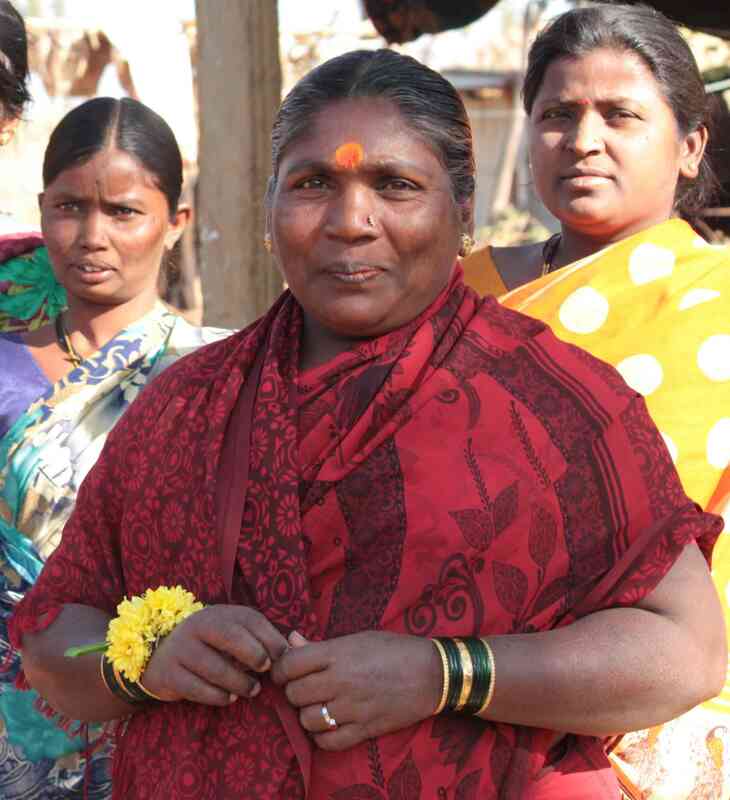 In her late 40s, Megalmane identifies herself as a Devadasi, though the regressive practice, where women from the Scheduled Caste and Scheduled Tribes were forced into sexual slavery, was abolished in the state in 1984. She now works as an agricultural labourer and lives with her four children, two daughters-in-law and a grandchild in the colony of the Madiga community, known as the keri. Rathnamma Megalmane with her neighbours in Nadiharalalli village. The study also showed that Madigas in at least 70 villages have not received any benefits from social welfare schemes or bank loans. Hardly any member of the Madiga community from these villages is a graduate. The study showed that in the 87 villages surveyed, only 0.26% (23 men and five women) of the Madiga population is pursuing post graduation. Only 0.09% have enrolled (eight men and two women) for a degree in law. There is no one pursuing medicine and only 0.10% (nine men and two women) are studying engineering. The home of a Madiga family at Haranagiri village. 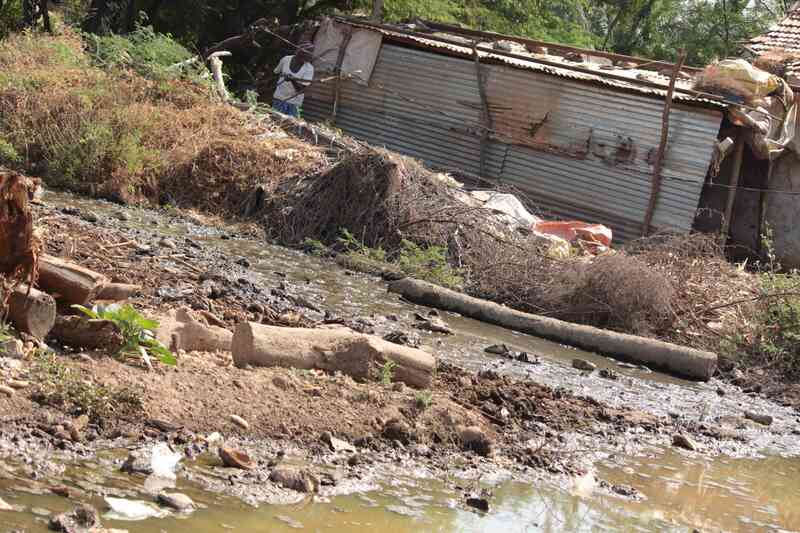 As the struggle for basic amenities continues, members of the community are even denied dignity after death. Every time a person dies in the Madiga colony in Nandihalli village, 41 km from the Haveri district headquarters, the community elders and the family of the deceased are forced to beg the Lingayats for land to bury the deceased. A few years ago, the community got a brief respite when one person from the Lingayat community allowed the Madigas in the village to use his land as a burial ground. “For three years, we did not have to worry about where to bury our dead,” said Parasuram Ramappa Amabliannanavar, a resident of the village’s Madiga colony. But the situation changed once the property was divided. 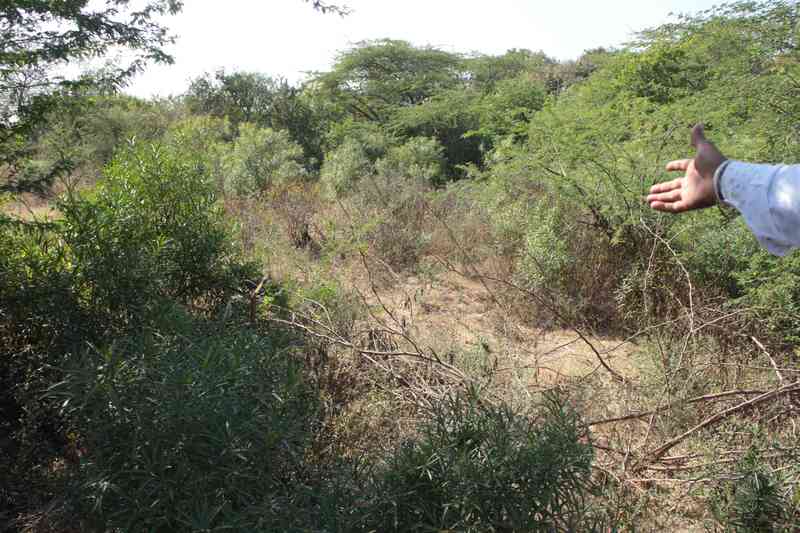 “The family asked us to stop filling their land with dead bodies,” he said. 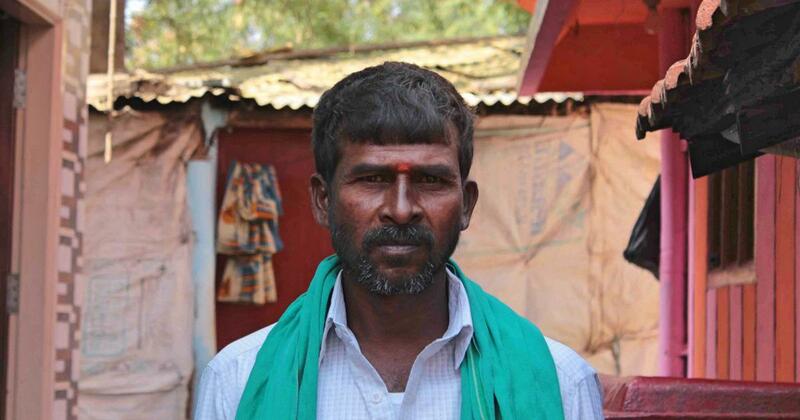 When Parasuram’s uncle died 10 months ago, there was no land for the burial. “We had no other option but to protest, demanding some space to bury our dead in the common burial ground,” he said. The family was allowed to bury the dead man in the corner of the one-acre burial ground only after the police and local MLA intervened. But then the entire Lingayat community turned against the Madiga community. Enforcing a social boycott, they refused to give them any work for more than two months. Parasuram Ramappa Amabliannanavar of Nandihalli village. 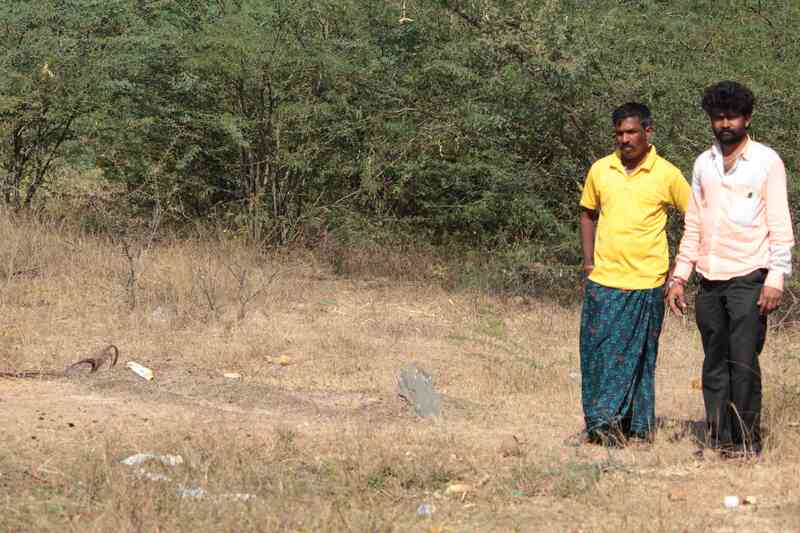 Parasuram shows the spot where his uncle was finally buried. The one-acre common burial ground for Madigas in Nandihalli village. 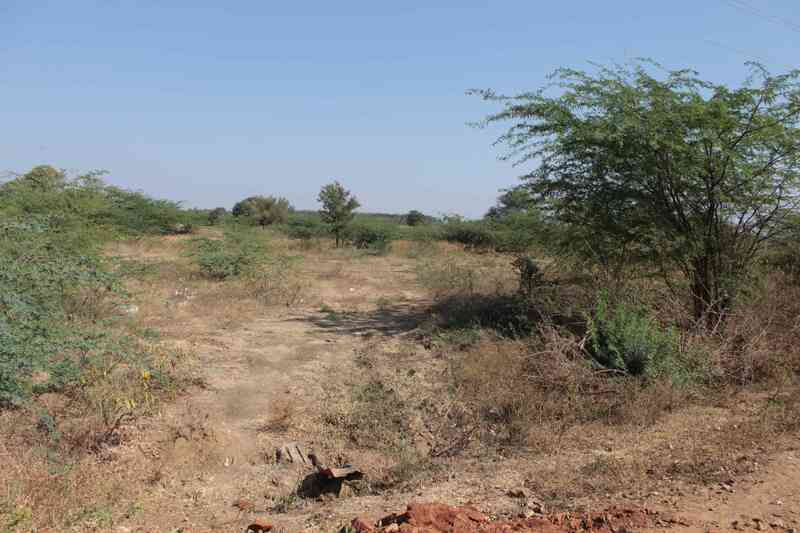 The land the Dalits in Nandihalli village were given by a member of the Lingayat community to bury their dead. Scroll.in attempted to seek the response of Deputy Commissioner MV Venkatesh on the matter. 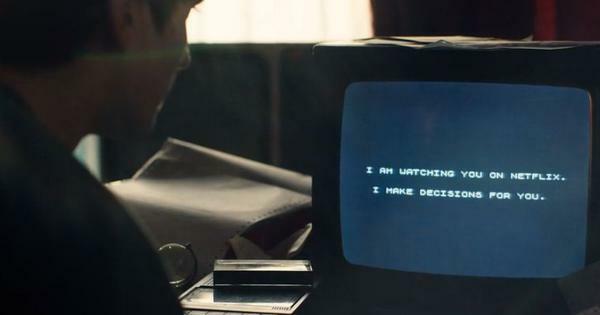 He did not respond to either calls or messages. Scroll.in emailed Venkatesh questions as to why the district administration has failed to prohibit the practice of untouchability in the area, and what measures, if any, have been taken to address such caste discrimination. The article will be updated if he responds. 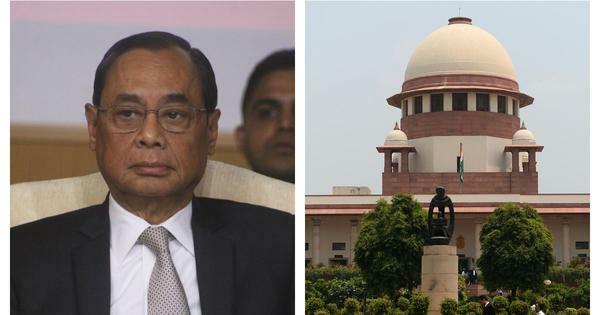 PS Krishnan, former Secretary to the Government of India, who released the report, told Scroll.in that the government paid some attention to the lives of Dalits and the depressed classes but that was not enough. “In order to draw the attention of the government, Dalits and backward classes should build democratic pressure to reclaim their rights,” said Krishnan. 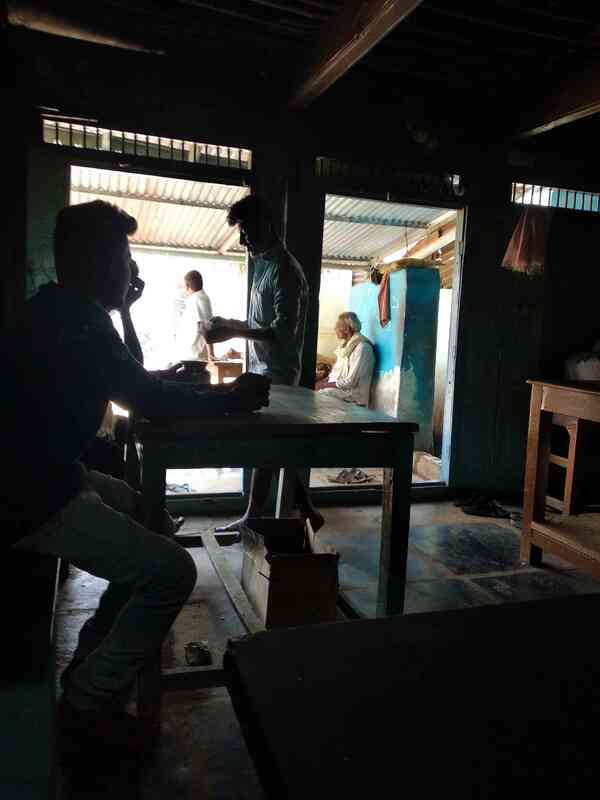 Dalits can only sit at this table in an eatery in Haranagiri village. At the same eatery, this table is for members of the dominant castes. All photographs by S Senthalir.